As well as being the Sydney metal roofers of choice, the team at Tandem Trades also specialise in the installation of innovative and contemporary wall cladding solutions for a wide range of residential, commercial and industrial applications. 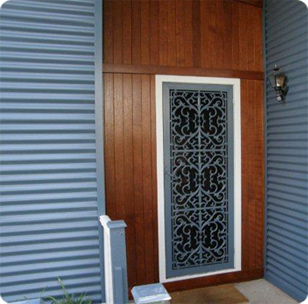 Using modern materials, including Australia's favourite Colorbond and Zincalume products, we can provide a residential, commercial and industrial wall cladding solution for your Sydney property that takes advantage of the good looks, durability and value for money that only metal wall cladding brings. Because we have over 25 years' experience working with wall cladding, you can be sure that your wall cladding solution from Tandem Trades will be delivered with the same quality, professionalism and cost effectiveness that we have built our name on. Working throughout the greater Sydney region, the team from Tandem Trades - Master metal wall cladding suppliers in Sydney, specialises in providing wall cladding solutions for all residential, commercial and industrial customers - and no job is too small or too large. We provide residential, commercial and industrial wall cladding solutions throughout the greater Sydney area including Sutherland Shire, St George, Inner West and the Eastern Suburbs Sydney. Please contact us today for an obligation free quote and evaluation of your wall cladding needs.